I usually carry a camera when underwater and probably because of the highly significant lack, almost to the point of extinction, of the species "gorgeous curvy female diver/model with maxi glass mask and lots of costume changes to perfectly match what I am about to photograph", I tend to dive alone. I do so because I don’t need bits of fellow divers in my viewfinder, kicking up the silt, frightening away what I want to photograph and/or putting bubbles just where I don’t want them, amongst a few other things. Normal divers (IMO u/w photographers can scarcely be described as normal) often have little to no idea of the way they can intrude when placed near an U/W photographer, which can seriously peeve the photographer. I therefore have, by my standards, a legitimate reason for diving alone and my diving friends (I have at least one) respect this. Note that I do not here mention "Solo Diver/ing", I really dislike this term and much prefer "Self Sufficient Diver" (or Self Contained?). To tell the truth, even when I do not have my camera with me I prefer to dive by myself. This is not selfishness on my part. It is rather that I do not wish to have responsibility for others as in the conventional so-called buddy system. More importantly I have no wish to inflict myself on another if I were to get into trouble because that would also put that other person at risk. I believe that I do not have the right to do this, to put someone else at risk just because I have a problem. I consider that any problem that I have is my fault, be it equipment failure, running out of air, whatever. The only time it would not be my fault is if, say, a Great White decides to have me for lunch (when a buddy would be singularly unhelpful anyway) or if, say, I decide to have a heart attack, which could just as easily happen when I am driving a car immediately adjacent to a cliff or, probably worse still, approaching a busy intersection. I would like to embellish that point "Self Sufficient". If you are driving a car and it gets into a slide, do you hand the controls over to your passenger? Yet you can currently do this underwater using the buddy system. Bear with me: the analogy is valid, those of you who would now point out that an out of air situation is not the same as a car slide had better remember that this is not the only emergency that can happen underwater, how’s about the turkey who grabs their buddy as that turkey is going ballistic, as just one example? If you have stuffed up are you, at least from a moral point of view, correct in enlisting the help of your buddy having regard to the car scenario? I point out here that in a car you are likely to damage very much more than yourself, leave alone that people often drive their cars alone. I also point out that if you were to learn to fly, going solo (a requirement, NOT an option) is usually a highlight of your flying career. Underwater if you are a self sufficient diver you are unlikely to damage anything other than yourself, certainly not other people. I enjoy, I very much enjoy, looking after novice divers on their first dives (when I would happily go without my camera). I take the greatest pleasure in the size of the eyes if I am able to show them something which they (as novices) consider extraordinary but which I may find perfectly ordinary. My pleasure is in their pleasure, yet during this time, I would be discussing their techniques with them: how to navigate, use of lungs for buoyancy control (rather than the BCD), pros and cons of equipment and in so doing I would be working up to when they would gradually accept (for themselves!) that it is up to them to look after themselves. Let me put something else to you: if you, fellow diver, are insecure if you are placed in a minor emergency such as getting low on air with no other diver immediately available, if you are equally insecure if someone comes up to you gasping for air then you are simply an accident waiting for somewhere to happen. Hell, I know at least one diver who gets paranoid if someone tries to take off their mask on the safety stop in the bluest of blue (warm) water! This person has a swimming pool, I just wonder how s/he handles that? In my opinion if you can’t swim around down there without a mask you have absolutely no right to be there! It will surely be accidentally kicked off your face sooner rather than later, probably with a stoved in nose (especially if it is the size of mine) and a kicked out of mouth regulator to add insult to injury. Wouldn’t you be better off getting used to this kind of abuse beforehand? Yet there are at least a couple of divers with whom I really like to dive. This liking however has nothing to do with the "buddy system" yet it also has everything to do with it. How can this be so? Roger and I were both experienced divers (so I like to think) when we first met, are keen u/w photographers and, really truly, have a sixth sense for each other underwater. Example 1 (of many I could describe): aboard the "Falie" out of Adelaide, South Australia, I was waiting for Roger who was being uncharacteristically slow, then got impatient and sank into a chasm to find a cave which, of course, I entered. Not long after I saw lights coming owards me, Roger naturally, who had entered from the other end. Neither of us was at all impressed with the fact that the other was in "his" cave and we each made this perfectly plain. Example 2: Roger chose to stay on top of the drop off and I went to the bottom which meant that as usual we lost sight of each other, no big deal. There I was taking shots of a really nice "this is my best profile" southern version of the Blue Devil (paraplesiops meleagris) which is considerably more co-operative than its notoriously shy but even prettier NSW cousin (paraplesiops bleekeri) when I sensed even before I felt the Roger elbow in my ribs to tell me that it was his turn. As I say, there is this thing between us. I met Gavin some 4 years ago when he was very much an OW1 novice diver and I amongst others went into the usual hand hold mode. Today he is looked on within our little community as one of our most sensible, controlled divers, entirely self sufficient and entirely capable of diving to our deepest dive sites. With Gavin I have a "common sense" relationship (rather than an instinctive one as with Roger). I always know (because I make it my business to know and so does he) where he might be but we are not necessarily remotely close to each other, probably many metres apart, probably out of sight, yet we know. Neither of my favourite "buddies" would remotely expect me to come up to them with a problem (or vice versa); they would, quite correctly, expect me to fix it for myself because we are all (as close as possible to) self sufficient. Conclusion? We enjoy diving with each other, pure and simple. I suppose you could call it companionship. EXPERIENCE: What you need to be wary of is, as one example, when diving for the first time in an environment you are not used to (temperate waters diver in the tropics and vice versa). Do then remember that you are now seriously lacking in experience. Never mind how many dives you have done, the conditions are different! SKILL: There are many skilled divers out there, depending on your interpretation of "skill". Some might think that they are better than others simply because they have done more diving. Not necessarily so! 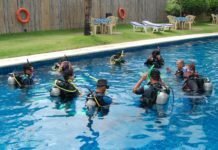 It is often possible that the former divers have been restricted to diving their own back yards whilst others, with less dives under their belts, have done so in lots of different situations. You tell me which of these is more skilled. This of course also relates to experience. EQUIPMENT: (a) a pony bottle with 500 litres (17.5 cu ft) capacity (filled). If you believe one of those toy "spare air" bottles is a viable alternative, please never ever consider yourself self sufficient! I recommend you mount the pony "upside down" because this allows you to get at the tap meaning that you only turn it on in case of need, but do pressurise the 2nd stage (you don’t need a pressure gauge by the way, why?, think about it) before the dive; (b) twin tanks (with twin 1st and 2nd stages, i.e fully redundant) for those deeper dives and you breathe out of them in turn to maintain roughly the same amount of gas in each tank as the dive progresses. There is no point in breathing one empty to find the other one, for whatever reason, doesn’t want to play. Such a situation is where Murphy’s Law is very likely to rear it’s ugly head! It also means that you have to regularly exchange 2nd stages. Some divers out there might find this a worry, shame on you. I suppose I should qualify this (one has to be SO precise nowadays) by pointing out that I am NOT here talking of penetration dives. ATTITUDE: you can’t just go off into the gloom to then ask yourself what the hell you are doing there all on your ownsome. DISCIPLINE: if you are by yourself and experience a problem. Well, you are dead in the water if you panic. There are lots of (relatively) minor matters which could be said to be within the scope of any comments on self sufficient diving which I have purposely not addressed. What I have described above is what I consider to be the "nuts and bolts" of this activity. It ignores things such as the narks and navigation, probably the important omissions which any diver venturing into this activity should, as a matter of course, be entirely familiar with/capable of before doing that venturing. This, of course, implies that I have no qualms about self sufficient divers going deep.  Frankly if going deep I think you are, all the more so, better off as a self sufficient diver. But then, what is "deep"? Deep, it seems to me, is entirely dependent on your own interpretation and perception. Many of you may never wish to attain self sufficiency to the extent described above. I urge you, however, to always remember that self sufficiency should be a requirement rather than an option. Even if you do not go to the extent of an alternative air source, you should at least strive to be entirely comfortable in the water by yourself.